There are various ways to publish a JAX-RS application when running inside OSGi. Some use Blueprint or Spring, and I’m sure there are other methods. I’d like to show how you can publish JAX-RS applications using the whiteboard pattern. 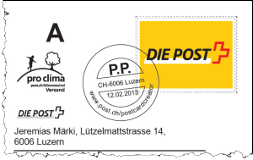 PostCard Creator – the online postcard application by Swiss Post. Application developed by BeCompany GmbH with PDF and PNG production by World Of Documents.